Citrine waxcap at Down Farm, Dorset. Photo credit: Natural England. There has been coverage today in the Express and Star and Dudley News of Natural England’s announcement of the notification of two Sites of Special Scientific Interest (SSSIs) because of rare fungi. 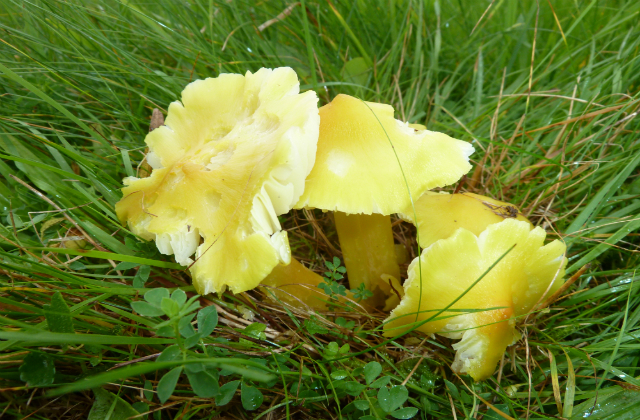 The citrine waxcap, which is on the International Union for Conservation of Nature's global red data list - a list of species at threat of extinction - was recorded at The Leasowes in 2017. There has been national and trade coverage in the Daily Express, Times, i news, Business Green, AirQualityNews and Energy Live News of the British Lung Foundation’s ‘Toxic air at the doors of the NHS’ report based upon new analysis by UK100 green cities network. Findings from UK100 analysis states that 1 in 3 NHS patients (17.9 million) in England are registered at a GP practice that exceeds the World Health Organization’s (WHO) annual limit for Particulate Matter (PM2.5). UK100 are calling for leadership from the Government to tackle the problem with new laws and funding for local authorities to clean up their air. Coverage states that experts are calling for an independent watchdog to allow charities and non-governmental organisations to hold ministers to account, whilst campaigners are pushing for ministers to adopt WHO air pollution targets. On 14 January the Government launched our new and ambitious world leading Clean Air Strategy that sets out comprehensive action required across all parts of government to improve air quality. Taking the action we have set out will improve air quality and reduce the incidence of serious illness, improving quality of life for tens of thousands of people. It will reduce the costs of air pollution to society by an estimated £1.7 billion every year by 2020, rising to £5.3 billion every year from 2030. In our strategy we have also committed to publish a report examining the steps needed to meet the WHO guideline limit for PM 2.5 across the UK. Our action will halve the number of people living in areas above the WHO guideline limit. In December 2018, we published the draft clauses of our flagship Environment Bill. Within this, we set out how we will create a pioneering new system of green governance, placing our 25 Year Environment Plan on a statutory footing. The draft clauses establish a new, independent environment body called the Office for Environment Protection, with the power to bring legal proceedings against the government and create a statutory framework for environmental principles. Local government has been the main agent for cleaning up local air since before the first Clean Air Act of 1956 as the impacts of air pollution, and the action required to address it, are highly relevant to local government priorities: health, housing, transport, education, local economics, greenspace and quality of life. The Clean Air Strategy includes a commitment to give new powers to local authorities to take action in areas of high pollution. The evidence is clear - air quality has improved significantly in recent years but air pollution continues to shorten lives which is why we are taking concerted action to tackle it. 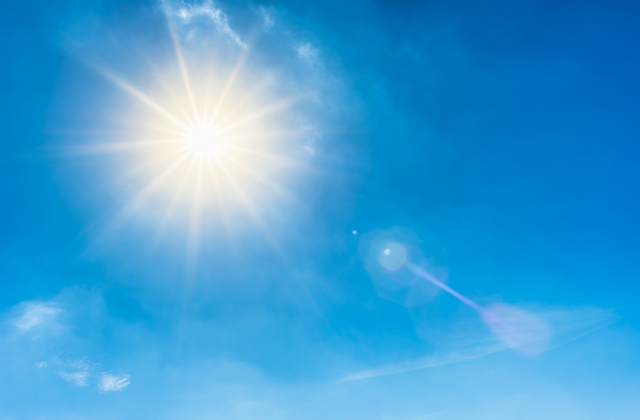 We’re the first major economy to adopt particulate matter goals based on World Health Organization recommendations, which is why the WHO praised our Clean Air Strategy as an example for the rest of the world to follow. Our forthcoming Environment Bill will also include primary legislation in air quality.